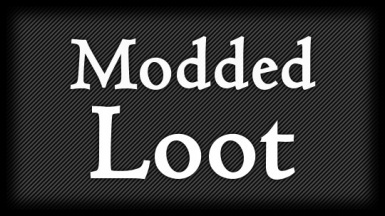 Add your modded items to enemies without the need to create leveled lists. Select your mods using SkyUIs MCM, then see them equipped on enemies throughout Skyrim. 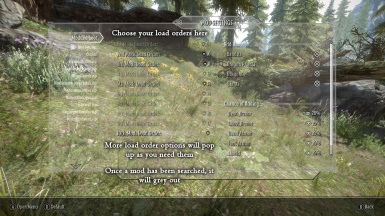 This mod gives players a lore-friendly way to find all their modded items as they adventure across Skyrim. Items are added to enemies without the need to create leveled lists. Select your mods using SkyUIs MCM, then see them equipped on enemies throughout Skyrim. 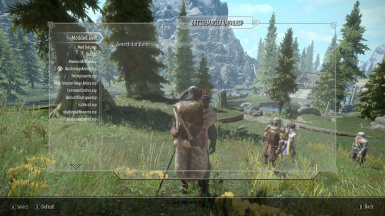 The mod searches through of the forms inside a mod, looking for specific items that can be added to NPCs. 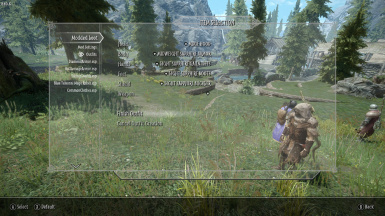 This version of the mod adds modded armor, shields, and weapons to Bandits, Dragon Priests, Dragons, and Giants with a percentage defined in the MCM. 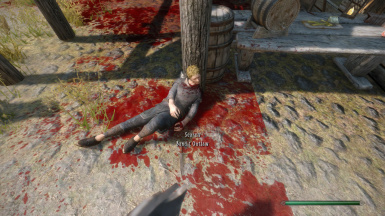 You can try out the mod easily by spawning some bandits after setting up. 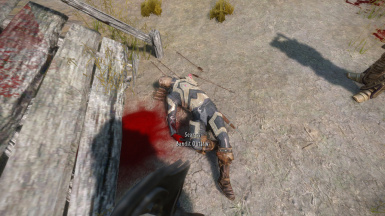 You'll see them wearing some of your armors or wielding some modded weapons. This mod makes use of a cloak spell to add an ability to the surrounding enemies. You'll need to get a mod to stop NPCs from making constant comments about magic. See the requirements for the one I use. 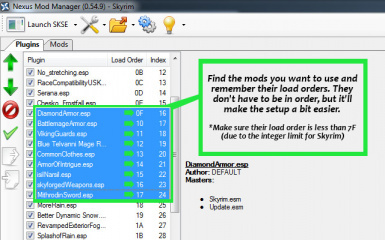 See the images for how to setup the mod. The mod's scripts are just to add spells and items to enemies and do not affect performance of other scripts. I've included the source code for all the scripts if you're interested in how this mod works. Added in version 2.0, you can create outfits which contain: a head piece, a body piece, a hands piece, a feet piece, a shield, and a weapon. Not all pieces are necessary, so you can make an outfit with only armor pieces or without a head piece. These outfits will be added to enemies with the chance you setup in the MCM (the default is 10%). When you have more than one outfit set up, you can describe the chance of each outfit however you want. 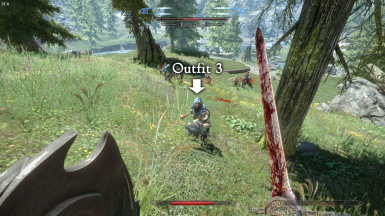 If you set 2 outfits to 100%, enemies will always have an outfit, but only 1 will be added to each enemy. I recommend having all the outfit chances add up to 100%. Once an outfit is created, you can review the pieces using the 'View Outfit' option. This is in case you forget what pieces you selected and want to chance the chance later on. There is a bug with weapons where they don't show up when you look at the outfit in the MCM. So if you view an outfit and it's missing an item from the list, it is still in the outfit, you just can't see it because of the bug.